Sheepsheads, are they good to eat or are they throwbacks? eaten Sheepsheads from Lake Erie a few years ago that my mother cooked up. I personally could not tell the difference between them and the walleye she cooked up. Were are the hot ponds? The entrance to the Hot-Ponds has almost disappeared since the low water. Only when the wind blows from the North can a regular boat have a safe chance to get into the ponds. Otherwise, one foot depth at it’s mouth is the norm. Used to get to the ponds quit easy by launching and going down the Jones Road Ditch/boat launch. That virtually dried up as well. Now most people park at the end of Jones and walk or ride their 4 wheelers to the entrance and fish from shore or wade. Where is a map of Saginaw Bay? The map just gives you a look at the bay. OK, I know you were not looking for that answer. First you have to realize Saginaw Bay is 60 miles long by at least 20 plus miles wide. 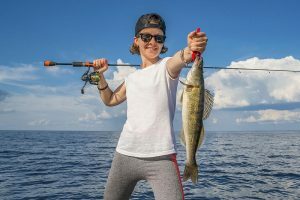 If you are just fishing for bass, pan fish & northern pike, the inner bay is a great place to start along the shoreline. 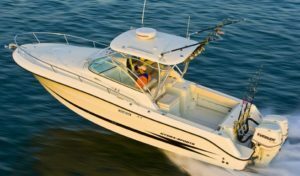 If you are looking for a charter, check out their web site for pictures of smiling faces. Beware of the person that say’s it is always good fishing. Don’t do a lot of fishing around the Caseville area much anymore. Back when I did the Pinebog and Pigeon was good for bass in the spring and summer. Body baits, spinners and spinner baits worked best. Water is to low now though for the last few years. I also did some casting with cleos and raw spawn under a bobber in the harbor and around the docks at Port Austin this time of (Fall) year for King Salmon. Wish I could be of more help, but the rivers I fish now are the Saginaw and Tittabawassee out of my jet boat. All that is done with lead head jigs and minnows. I’ve caught females that were bulging with eggs and others with eggs still very tiny. These may be two separate groups of walleyes that may indeed head up river or stay in the Bay. The two distinct groups are mother natures way of insuring a successful spawning cycle in case a natural disaster kills or disrupts one group or the other from spawning. I believe sun lite length versus the warm weather has more bearing on what spurs them into that schooling, river running behavior than anything else. Not to say these weird cold fronts don’t have any bearing on their moving activities. 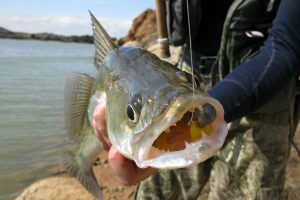 Perch, like the walleyes are also gearing up for their Spring spawning run. That’s the reason they are again showing up in the shallower waters. I always use the phrase “Where they live” when explaining the movement of walleye during this time of year. 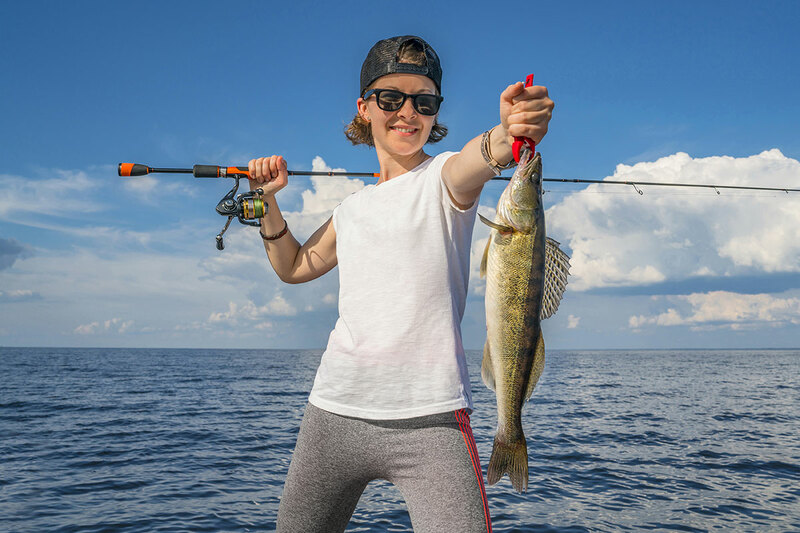 The deeper waters are where you can always find a certain amount of resident walleyes. They “Live” “Forage” “Roam” and possibly spawn there. These spots are best during the early and midwinter time frames. But as the river spawning group moves into shallower water and separate away from this deep water school, the catching gets tougher for Lac of fish. 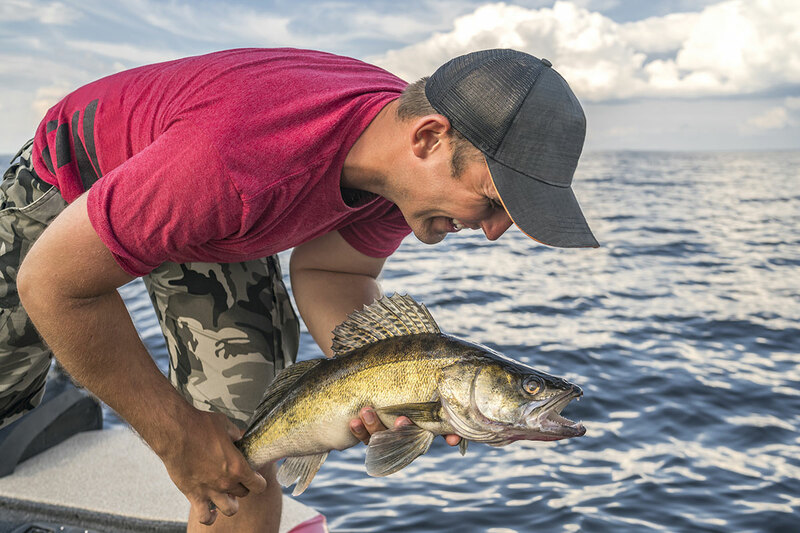 Finding shallow water walleyes is a rags to riches proposition. They are now traveling in small to large schools. And if your on top of them in these schools your going to have a ball. If you not, the skunk will get ya.